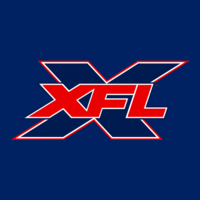 Are apparently being discussed as things fans would like to see in the XFL? What do you think? I don't want to see cheerleaders (XFL doesn't need to go down that road again), but marching bands could really help give the games that college feel. You could make the atmosphere a whole lot better for the live audience with marching bands, I think. You can do stuff like marching bands as pre game or halftime entertainment, if those bands are local. I am not really for team branded marching bands. Local stuff is fine. Anything that ties in the community to the games is fine by me. If you have like a local high school team honored before the game. That's cool. Having local football legends at the games is fine by me. The 20 year old version of me had no issue with beautiful women dancing next to or with me in the stands. This version of the XFL doesn't need it. If it's done, it's gotta be low profile and probably somewhere down the road. Mentioned on reddit, I think marching bands is a great idea, depending on where they come from. If nothing else it will help the stadium sound louder when watching on TV which will help if attendance is light in some markets. Could also help build fan base identity (a team fight song, other team-specific cheers prompted by the band). Don't care about the cheerleaders. Bands add way more energy. The games need to feel like events. That was the biggest thing missing from the AAF. If marching bands can help make that happen, I'm all for it. What are we talking about here though, fight songs played after touchdowns or just introduction/half time stuff, or both? I personally don’t mind it, I think it is definitely a way to separate themselves from the NFL. The games need to feel like events. That's it exactly. If a marching bad will do it, then go for it. IMHO, a marching band may not necessarily be the answer. I have to agree with the local angle, high school and college bands would be fine and would provide more opportunities for increased local buy-in. Something has to take place during halftime and if it can be provided by local (low or no cost) entertainment, so much the better. Cheerleaders are fine..... from High School to the NFL they are present. They dress things up......they lead cheers.....that's all they should do. You don't need to put them front and center like the old XFL did..... you don't encourage players to date them....... you don't focus on the reactions of the cheerleader girlfriend when her boyfriend is iinjured or something......and finally......you don't need to feature them gyrating like nymphomaniacs on camera..... besides.....if he did that now you'd probably have some womens activist raising hell about exploitation. About clydesdales......the reason I believe it wouldn't work is because of their long association with beer......which would expose youth to alcoholism.....just play good ball......that will sell the XFL better than anything else. As for the team names and logos...... I'm wondering if they're holding off until after the NFL draft to make those unveilings. Maybe they want to make a splash after the draft excitement fades so people won't just see them.....then forget when the NFL takes center stage..... and by the way.....the draft will be shown on ABC this year.......then they could play off that by doing the unveilings..... and talking about players they'll be signing. And get team gear out there......the free advertising you get from people wearing it will get the word out.....and maybe make more fans. And charge perhaps half of what you pay for NFL gear. If it looks cool.....people will buy...... especially if it doesn't break the budget. I'd gladly wear a Seafarers jersey that I got for fifty bucks......even over a Seahawks one that cost a HUNDRED and fifty bucks. Doesn't mean I love the Seahawks any less......but its hard to afford them. I was an AAF follower.....I hate what happened.....unfortunately for Vince.....some of the "I told you so" media with regard to the AAF could use that to crap all over the XFL's potential to succeed. That really shouldn't be a factor...... but if they're all saying "oh here we go again"..... that could affect the attitude the casual fan.....(like the ones that watch the super bowl for the commercials).....will have about the XFL.